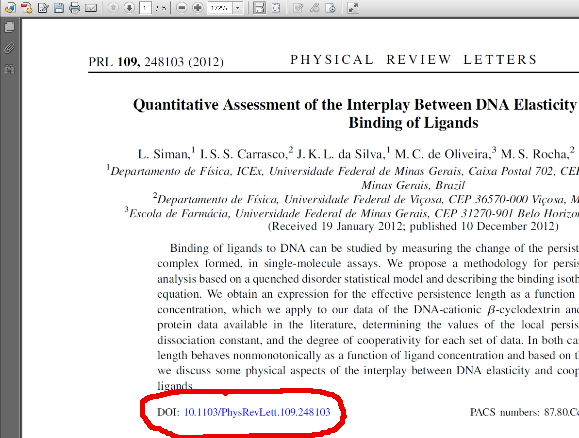 With certain PDFs (ones with embedded DOI numbers), EndNote can import the PDF and automatically extract and save all information about the article (author, title, date, etc.). Select the “PDF” import option from the Import Option list. Click “Import” to import the file. 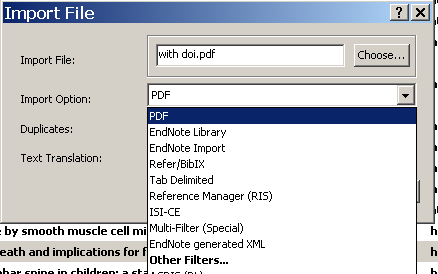 A new feature in EndNote x7 is the ability to have EndNote automatically monitor and import PDFs from a particular folder. Here is a video explaining that process.